The farthest west large body of water on Lake Minnetonka, separated from South Upper Lake by Crane Island, Eagle Island and Wawatasso(Boy Scout) Island, which are the three islands located on the south end of this bay. West Upper Lake is home to the Lake Minnetonka Regional Park, the previous estate of Vern Gagne. Hardscrabble Point and Cedar Point are real estate standouts on the bay. All the land surrounding this bay lies within the city of Minnetrista. 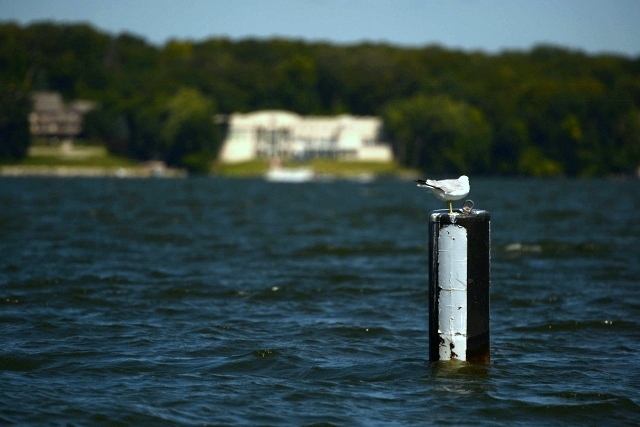 Public boat access is available via Lake Minnetonka Regional Park.